Since Freemasonry is regarded as significant by Pope Francis, as well as many previous popes and in various private revelations by the Blessed Virgin Mary, I thought I'd try to educate myself a little about it. I can't say I've come to any very exciting conclusions, but I can recommend a couple of books, and make a few observations. 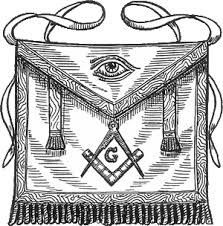 My interest has been in the philosophy (or religion, or ideology) of Freemasonry, as opposed to the extent it has, or fails to have, influence in local or world events. The second subject is one where reliable information is obviously going to pretty difficult to find, and I think that Freemasonic influence over the Church, specifically, is going to be of importance only if it is connected with a philosophy which is opposed to the Church's teaching. Many dubious people have had undue influence over the Church locally, or in Rome, over the centuries, but if what they are after is money or prestige then the damage they do to the Church, while real, is at least comprehensible and repairable. 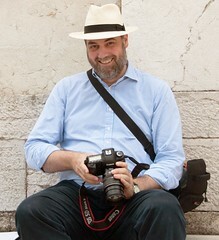 The ultimate threat to the Church, against which Christ has given his ultimate guarantee, is not prelatial nephews spending the revenues of dioceses they never visit on wine, women and song, or criminal gangs arranging flamboyant funerals for deceased mobsters, disedifying though these are, but the Church ceasing to proclaim the Gospel because of the influence of an alien ideology. So here are a couple of books. The classic study of British Freemasonry is Darkness Visible by Walton Hannah, first published in 1952. An excellent recent account is Masonry Unmasked by John Salza (2006), from an American perspective. The aim of each of these books is the same: to demonstrate, from the rituals used by Freemasons, that it has philosophical and religious claims which are incompatible with orthodox Christianity. Hannah wrote his book as an Anglican cleric, at a time when several Anglican bishops were masons. They managed to prevent any official investigation or discussion of the subject, but the book's exposure of the issues brought a gradual end to the era of such close entanglement between Masonry and the Established Church. Nevertheless, Hannah later became a Catholic and a priest. Salza was a Catholic who became a mason after being told that there was nothing much wrong with it, for a Catholic; he found out more, as a mason, and realised that there was, and left it. Freemasonry is a religious system incompatible with Christianity; if most masons don't take this system very seriously, there is even less reason to commit oneself to it formally. As Hannah points out, the make-believe quality of the oaths and rituals, if that is going to be the defence, only serves to emphasise that in taking them one is guilty of the sin of rash swearing. But as a matter of fact there are masonic writers whose mystical interpretations of the rituals are the same of writers like Hannah and Salza. The Masonic religio-philosophical system is, in a nutshell, that all religions are equally valid: members can swear their oaths on any holy text they like. Historically, the inspiration for the moral ideas and rituals comes from Christianity, with a bit of made-up ancient Egyptian mysticism. But Freemasonry also claims to have 'secrets' and a method of instruction which makes its members into an enlightened elite. In this, Freemasonry is a fully-worked out example of Enlightenment liberalism, plus rituals, role-playing amateur dramatics, and silly handshakes. Liberals looks down at the world's religions and say, first, that they are all equally valid, and then, in the next breath, that they themselves have transcended such footling divisions. To say all religions are equally true is, of course, equivalent to saying that all are equally false, and it is not so surprising to find that the great division in the world of Freemasonry is between officially theistic masonry - the 'Grand Lodge' Masonry of the English-speaking world - and non-theistic and in practice anti-clerical masonry - the 'Grand Orient' Masonry of the Continent. The split occurred at the beginning of the 19th century, when the Grand Orient lodges rejected belief in God as an essential qualification for masons. It is sometimes said by British masons that Catholic condemnations of Freemasonry refer to anti-clerical and historically anti-ancien regime Grand Orient masonry, not the kind which can happily include among its members British Kings and an Archbishop of Canterbury. However, as Hannah points out, this is not so, since many such condemnations date from before the split, and even later ones note religious indifferentism as a major issue, a criticism which ceases to be applicable when you tip over the edge into atheism. In fact the condemnations apply to both kinds, and to their many splinter-groups. It is enough to point out that they deny the unique significance of the Christian revelation, engage in unjust or at best rash swearing, and, despite official denials, seek to establish obligations which supersede those of Church and State. Hannah gives a nice illustration of this. When looking into Freemasonry, he wrote, as an Anglican in orders, to bishops who were known to be masons, asking them for guidance as to how he should address the concerns of members of his flock about Freemasonry. They replied that they were not at liberty to discuss the matter. In other words, their masonic obligations took precedence over their episcopal obligation to provide guidance to those under their charge. This is the more remarkable in that the typical response of Anglican clerical masons to criticisms was to play down the reality of masonic obligations and the importance of the 'secrets': which had, after all, been published by masonic publishers, in easily decipherable code, for many years, accompanied by numerous exposés even before Hannah's supremely systematic and accurate one. The situation is richly absurd, in that everyone can pore over masonic rituals, read masonic interpretations of them, and have a public debate on the subject, except the masons themselves, who, in Hannah's day and (I get the impression) today also, remain on the sidelines bleating feebly that it is all harmless fun but they can't go into details. 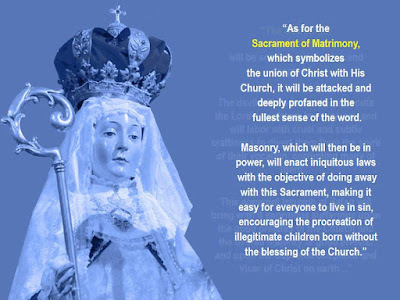 The question then is: when (for example) Our Lady of Good Success in Quito warns of the influence of masons, when Popes up to and including Pope Francis warn about 'Masonic lobbies', what exactly are we being warned against? It might seem unfair to point the finger at a dwindling British band of rather conservative, establishment types, who may give each other preferential treatment in dubious ways but hardly seem a threat to world peace. But actually, I think the fact that Anglicanism was riddled with Freemasonry at the eve of the great cultural and moral crisis of the 20th century does help explain why it collapsed so quickly and so completely: it didn't really believe in itself. Again, the fact that significant numbers of establishment types are still consoling themselves with 18th century allegorical morality tales of supreme superficiality, instead of either doing anything about public culture or availing themselves of the graces available from Our Lord and Saviour, helps explain why the 'small-c' conservative response to the continuing decay of this country is so consistently flaccid. So I think the poison of religious indifferentism is at least part of what is being warned against. Today we see religious indifferentism raised to the level of a sort of official religion, in schools and in government, both local and central. One may say that Freemasonry has triumphed, even if as an institution it has seen better days. If indifferentism, or indifferentism which has evolved into practical atheism, is a motive force for organised campaigning groups, whether these groups be derived from formal Freemasonry or not, one may, again, say that the spirit of Freemasonry is active in them. And indeed such groups exist within the Church, and it makes little difference whether they identify with Freemasonry or not: what matters is what they believe, and the effect they are having. It is obvious that you can't proclaim the Gospel unless you believe in it. If you think that the Gospel is no better than any other religion, and that you and your enlightened friends can look at all these belief systems from a great, patronising height, then you don't believe in the Gospel. To that extent that this attitude permeates the Church, the Freemasons have won. Maybe it is actual, professed masons doing the bad things in the Church; if so, we'll probably never know. What we do know is how to oppose the errors of their ideology: with the truth of the Gospel. This article is so full of pure hogwash. Masonic tradition states that a belief in God as the creator of the universe is a necessity to be a member. Masons do not worship the virgin Mary. This is a conflict with the Catholic Church not Christianity. Both books referred to in the article are authored by catholic priests who will naturally find conflict with Masonry. Masonry is not a religion nor is there anything anywhere in Masonry that will save your soul. Only believing in the Lord Jesus Christ will accomplish that. Apparently, the writer has not fully investigated beyond the books he cites into appendant bodies such as the Knights Templar which require a public profession of faith in Jesus Christ as Lord and Savior. Toolmaker 10, thank you sir! As a member of the Order of Women Freemasons I concur with toolmaker 10 and would advise you to read something like The Secret History of Freemasonry by Jeremy Harwood. I hate to legitimize crap like this, but to call masons conservative, and then try to pin the failings of society on them because of supposed liberal beliefs just proves how confused you are. I have been a Freemason for 25+ years and I have NEVER seen anything that has conflicted with civil, moral or religious duties. Oh lovely! A clutch of masons on my blog to make fools of themsevles. I couldn't have asked for a more concise demonstration of the hey-nonny-nonsense side of Freemasonry. And just like in Walton Hannah's day, they overwhelmingly prefer to remain anonymous. 'toolmaker' says my article is 'hogwash', and then claims falsly that the authors of the two books I cite are both Catholic priests. If he'd read the post he'd have realised that neither was; one became one later. So what he says is, well, hogwash. He digs himself deeper by saying that belief in God is necessary for membership, and conflicts with Catholicism by 'not worshipping Mary' (interesting claim), and then denies it is a religion. How can something not a religion have both positive and negative theological committments? But it doesn't save your soul: we can agree on that. The Order of Women Freemasons: how interesting. Hannah writes that, while open to all religions, in his day the Grand Lodge expelled anyone having anything to do with Masonic splinter groups which admitted women. Is that still true? I hope so, it is so terribly funny. 'Unkown': you are in a dreadful dilemma, aren't you? Having got yourself into a muddle thinking I say that masons are 'conservative' (actually this is what masons say to defend themselves), you either have to admit that they had something to do with the crisis of the 20th century or deny that Freemasonry had thoroughly penetrated the British elite in the mid 20th century. Which is it to be? Was Archbishop Fisher of Canterbury a Mason, with a slew of members of the Royal Family, or are you going to deny that? Well, if the ship hits the rocks with your chums at the wheel, you have some explaining to do. On the conflict with other duties, here is a simple question. Is it, or is not, sacrilegious to address God by a name, 'Jabulon', which incorporates the name 'Baal'? The system of Freemasonry is both idolatrous and blasphemous. Idolatrous, because it asserts the jurisdiction of and requires Masons to swear obedience to, leaders who are not ministers of God as are the rulers of the Church and the State. Blasphemous because the oath is taken in a merely private capacity and for an evil purpose - namely to reinforce a seditious undertaking of secrecy and to invoke penalties which if executed would amount to murder. If Catholic men are looking for a fraternal organisation, then the Catenians are always recruiting. We may not be as numerous as the masons, and we certainly don't count members of the Royal family amongst our number, but the food is good we can guarantee convivial company. Can someone please locate the orginal words of the 1610 Our Lady of Good Success apparitions? The image above looks much more like a later translation with interpolations. Longer versions, e.g. on 1P5, seem to be more reflective of late 19th or early 20th century current affairs. Or if one were to read it in its Latin American context one might think of the Bolivar and his revolutionary activities. Or even the French reign of terror. Somehow I doubt that, in 1610, Our Lady would specifically name "Freemasons" when that particular movement or sect had not yet been thought of in the early sixteenth century. It's a fair question, I just found the image on the net. I don't know the answer. "Somehow I doubt that, in 1610, Our Lady would specifically name 'Freemasons' when that particular movement or sect had not yet been thought of in the early sixteenth century." That thought occurred to me as well (although 1610 is in the 17th century, not the 16th), but then I realized that Our Lady obviously knows the future and would be able to name such an organization even though it did not yet exist. After all, She foretold the spread of the errors of Russia prior to that happening. At LaSalette She stated three fourths of France would lose the Faith and the other fourth would barely practice it. These things have come to pass. So much vitriol. Any comments about membership of other groups who actually do claim to be a religion, such as Judaism or Islam? interesting article for not actually asking a mason to get a balanced argument, just a couple books by ppl who have had a bad experiences. The ideas of holding religions equally is technically incorrect. The truth is everyone is treated equal no matter their religion. Each individual can belong to or believe in their own religion with as much conviction as they wish. It was Freemasonry that gave religious freedom along with many other freedoms to the US constitution. As a Catholic, it was beat into our heads that going to hell was easy. Luthrans go to hell, non-christians go to hell, and Catholics who don't go to church go to hell. This is still very true today depending on the bishop and dioceses. Masonry is about morality and respecting your fellow man no matter their religion. If there were more masons involved in politics or society in general, especially these days, I think the world would be a better place. Well wouldn't that have been a great idea! If every mason hadn't taken a vow on the Bible to have his bowels ripped out and his throat cut if he revealed anything about the craft. There is something of an irony, don't you think, suggesting I ask masons about the content of masonry when they have sworn not to reveal this to outsiders? I'm not sure anyone asked you to speak to a mason, so - again - I don't see the relevance of the point you are trying to make. And the point is invalid for two reasons - the 'penalty' you refer to is incorrect, plus there is nothing stopping you asking questions of masons. There are SOME things we are not going to reveal - even though many are available on the internet, anyway - as that can affect the pleasure one gets as a new mason, but most things are free for discussion. And you shouldn't judge any organisation or group based purely on information from the internet - much of it is vitriolic. There are plenty of examples of this about Catholicism as well. You are quite right. That's why I recommend two carefully-researched books. With the events that are happening in the Church, I wonder whether certain alleged private revelations, considered controversial by some, are indeed true. Another excellent book on the Masons by Walton Hannah (who was himself a Mason as an Anglican priest until he decided to leave) is Christian by Degrees. Written in 1954 it explores the religious history and development of Freemasonry and whether or not it can be interpreted as Christian. Hannah prints the ritual of the higher Degrees of Masonry such as the Rose Croix and others, examines them and concludes that they are not Christian but more like revivals of the early gnostic mystery-cults which were definite enemies of the early Church. Another interesting book on Masonry was The Brotherhood by Stephen Knight 1984. Thank you. Although my understanding, based on Hannah's book, is that he was never a mason himself.